Hey I love your podcast! Why haven't you guys talked about Toy Story 3 yet? I thought the score was great. Thanks for checking out the SoundCast! We only had so much time, so we hit probably the two of the most talked about scores of the Summer for the last episode. 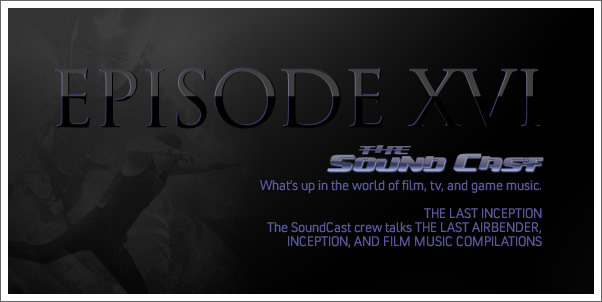 Of course, we may do an episode that focuses animated movie scores and I'm sure TS3 would come up in such a discussion. Thanks again for listening and giving us your feedback.